Get More Customers This Halloween Season with a Professional Mobile Friendly Website Designed by Haunt Industry Experts. 70-80% Of Your Site’s Traffic Comes From a Smartphone. A Mobile-Friendly Site is No Longer a Competitive Advantage – it’s a necessity. We Take a Mobile-First Approach to the Design of Your Website. Our Modern Templates are Proven to Keep Your Costs Low & Your Search Results High! For a Low Monthly Payment We: Write it, Design it, & Rank it for You! – Kelly J. McCormick, Co-Owner & Director, Gilbert House of Terror, Gilbert, SC. Packages Include Design, Development, Hosting, and more! Stand Out From The Crowd with an Eye-Catching Logo! Having a Mascot for Your Haunted Attraction is a Great Way to Build Brand Recognition On & Offline! Your site's visitors are more likely to convert into customers if the template is fresh, modern, and enticing! Fees can add up quickly, and there's more than one thing you'll need to get your website up & running. 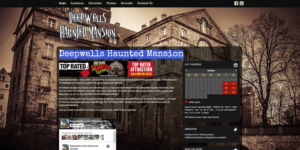 Haunted House Media makes it Simple & Affordable by bundling this into Our Website Design Package. Your website will look great on all devices: smartphones, tablets, and computers. 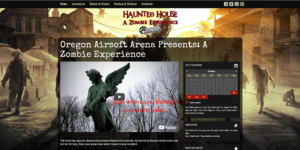 Our Standard Package Includes 5 Pages of Quality Content, such as Ticketing & Pricing, Map & Location, an Integrated Contact Form Page, Calendar Dates & Details, About The Haunt, and More! 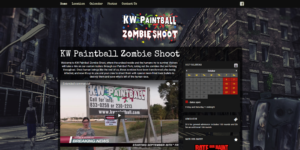 Our Team can also customize content pages to fit your needs! Having an eye-catching logo is crucial to making your attraction stand out. Our Basic Website Package includes basic Logo Design or Revamp by one of our Junior Graphic Designers. We'll help you get your domain registered, ensuring that you get a quality domain for for haunt, saving you time, money, and hassle! Drive more traffic than ever to your site with this complimentary integration. 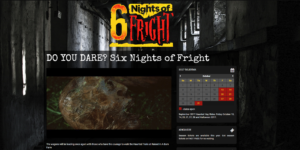 We pull seasonal updates automatically from [YourState]HauntedHouses.com (videos, photos, and calendar). Want to showcase some of the photos taken during the season? 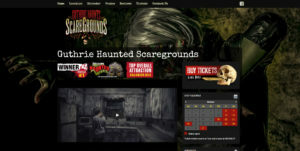 Through your listing on [YourState]HauntedHouses.com, you can upload as many photos as you'd like! You can also upload as many videos you'd like from your YouTube & Vimeo Pages. We'll connect all of your listings and your new website to your social media pages, so that your followers can easily find the information they need! Our Team of Experts can help you manage & optimize your Facebook, Twitter Pinterest, Instagram & Other Social Networks. Please Call for Pricing. Call 888-228-5265 or Click Here To Launch Your Website Today! For More Samples Call 888-228-5265 or Click Here To Email Us!